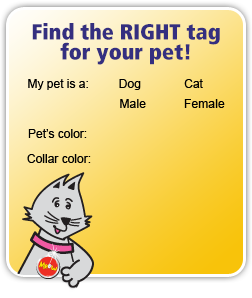 Only high quality materials such as aluminium, nickel and stainless steel and metal alloys like rust-proof brass are used to make our engraved pet tags. Or perhaps you prefer an engraved dog tag featuring bright and colourful images? Or the pampered pooch or kitten may like a stylish engraved pet tag with sparkling Swarovski crystals? 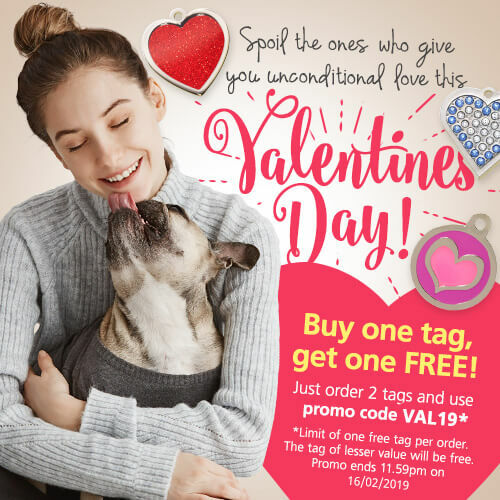 With our huge range of pretty bows, hearts, glitter tags and bling tags, you are sure to find an pet tag to suit every dog or cat! 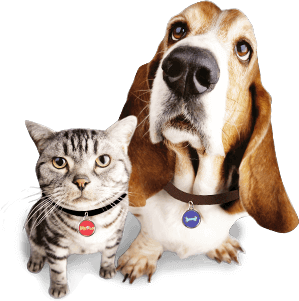 As our engraved dog tags and engraved cat tags are deeply laser engraved, your engraved pet tag/s may arrive with a bold finish. If this is the case, simply wipe over your engraved pet tag/s with a cloth (e.g. polishing or jewellery) to smooth over the engraving and remove any excess fibres.